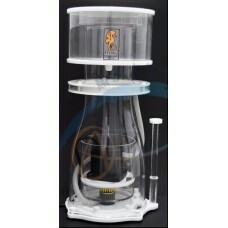 This is the Protein Skimmer that the saltwater industry has been waiting for. 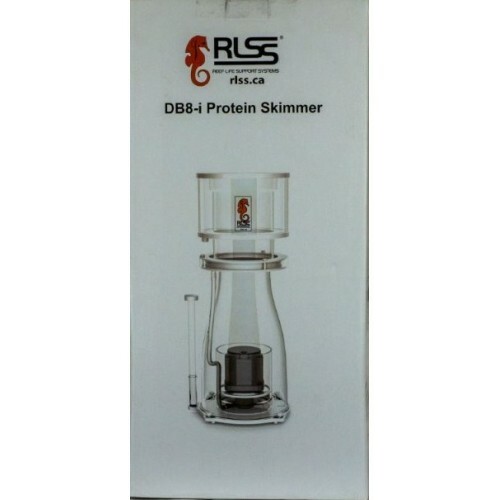 At Aquatic Warehouse, we recently traded out our “top name brand” $999 skimmer for the new RLSS DB8-I with the Apex pump at ½ the price; and “holy-guacamole” what a change!!! The sump has no baffles and there is not one bubble in the tank or sump. This we placed on our nice 170 gallon reef with SPS, LPS, Softies, Gorgonians, Clams etc and everything has opened up more. The skimit is as light as shaving cream powered by the 6 speed Waveline pump, and is the quietest skimmer for that size we have ever heard! 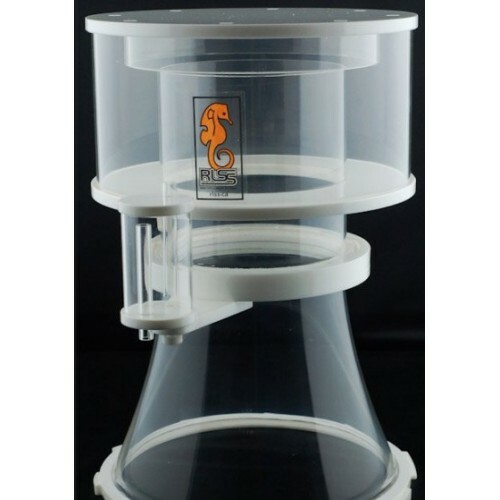 This beautifully designed (and looking) protein skimmer is the least expensive of this quality found anywhere in the industry!! The factory is moving so we don’t know how many of these gems are going to be available, but we bought all the factory had in their limited inventory. Small Footprint for a Massive Skimmer- 120-140 Gallons LOADED Reef or 200 Medium Load!! Run on a Ridicules 1.3 Amps or 48 Watts at Full Power Measured at the Adapter!